When does Elijah come in relation to end time events? What year could that be? How do we recognize him before accepting his command to move to Israel? Also is Israel today really biblical Israel and how will we deal with the Ministry of the Interior’s history of rejecting believers or anyone not Jewish from immigrating? A good comprehensive glossary of Bible prophecy terms can go a long way to help with the difficulty of understanding Bible prophecy. 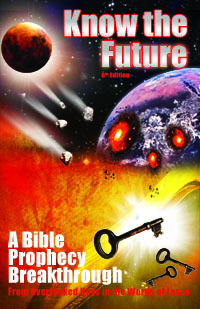 This glossary is different from others in that it is built upon the same two keys that Know the Future book uses: literal interpretation and insight into the prophetic Jewish Feasts of Leviticus 23 which unlock the book of Revelation.